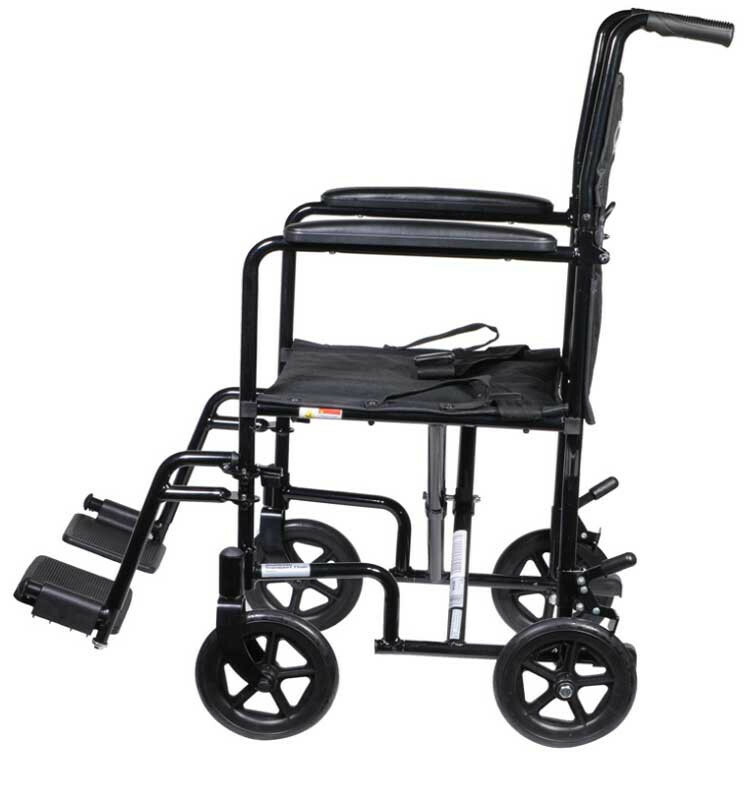 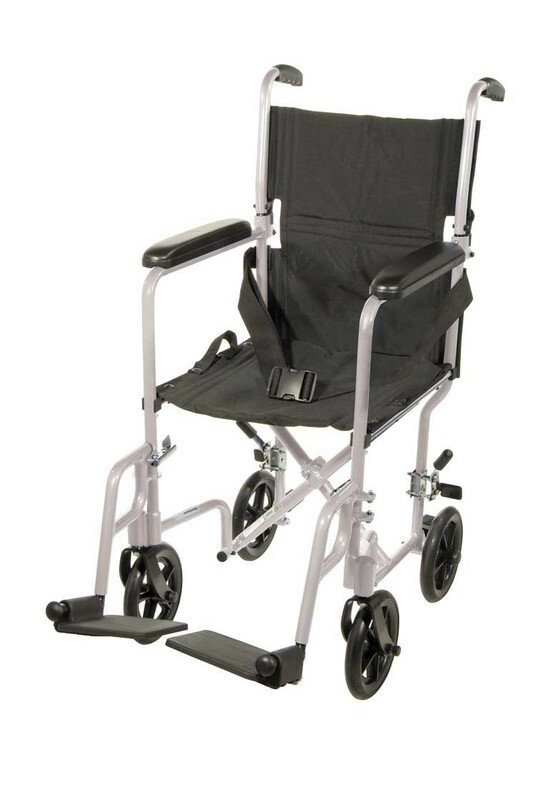 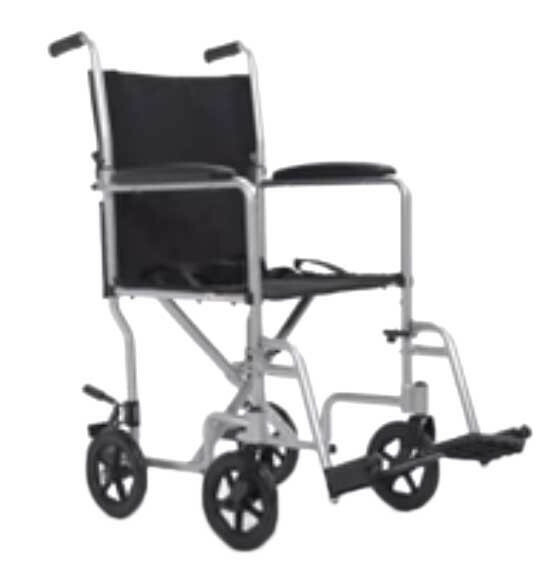 Drive Medical Aluminum Transport Chair is a lightweight, patient transport chair.Weighing only 19 pounds, the aluminum frame can support up to 300 pounds.The chair rolls on composite 8" wheels that are lightweight and maintenance free.For added safety the rear wheels come standard with wheel locks. 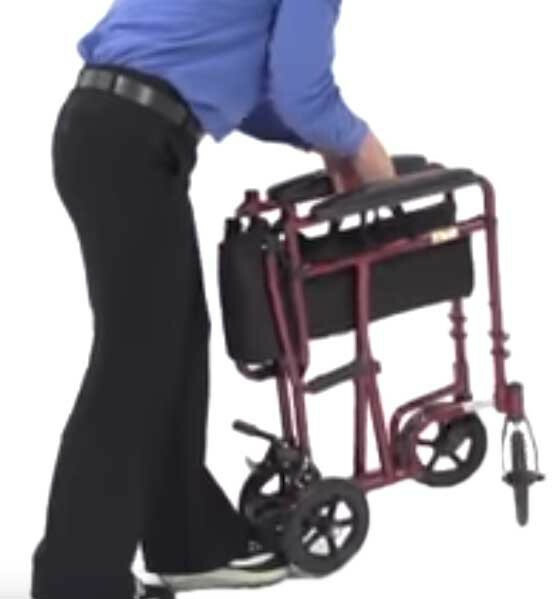 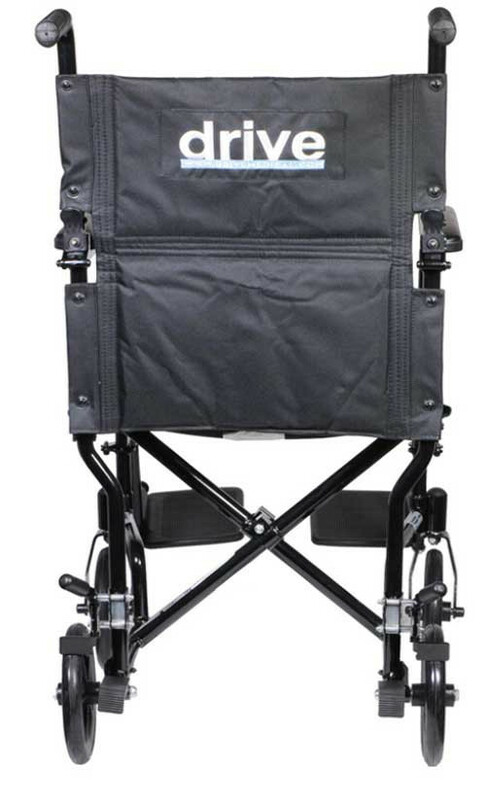 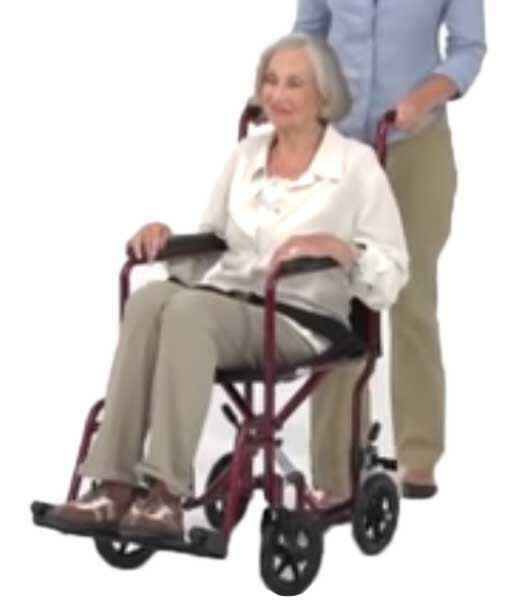 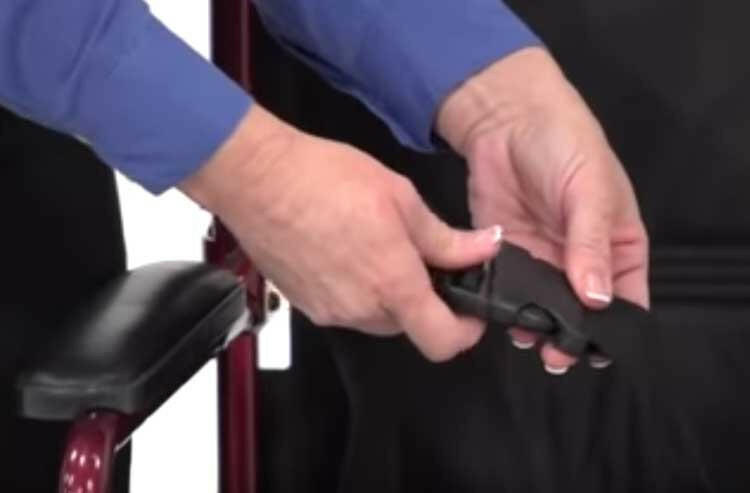 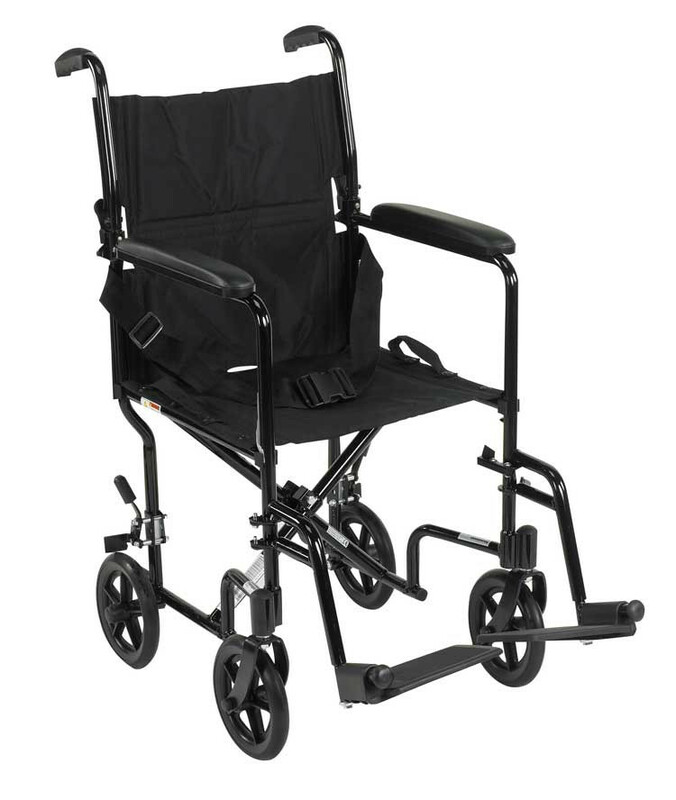 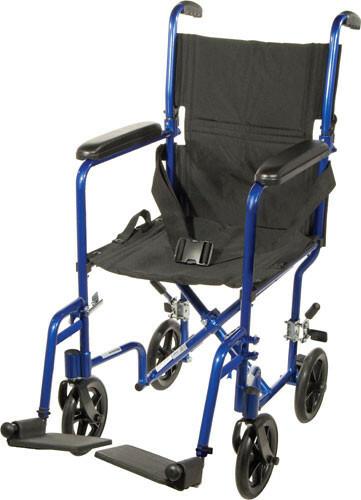 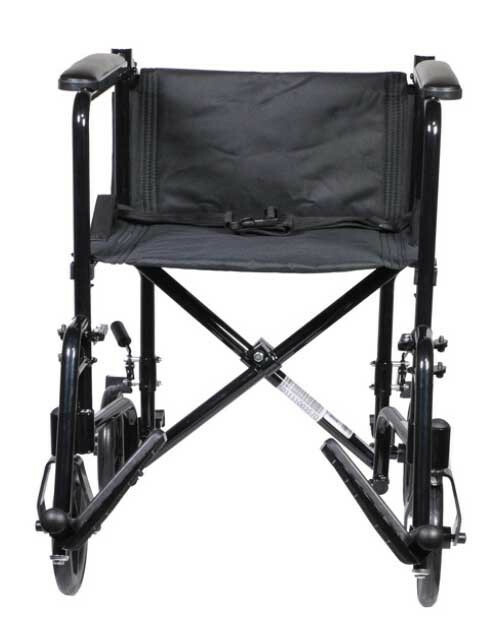 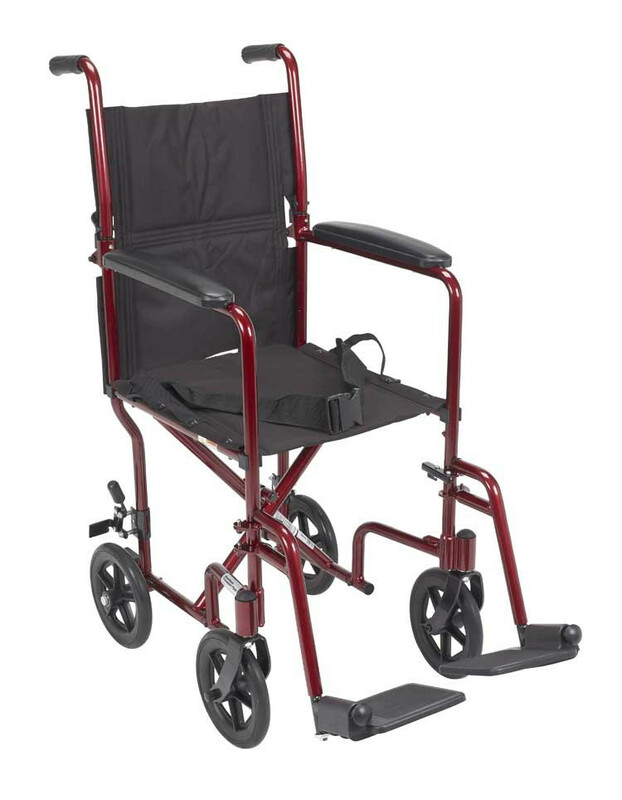 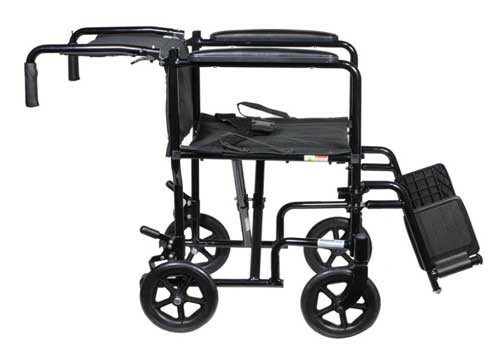 An attached seat beltprevents accidental falls while the patient is in the chair.Padded armrests, and a nylon upholstered seat provideextra comfort for the Aluminum Transport Chair.The back folds down for storage and transport.This folding transport chair comes with swing-away footrests and heel loops.The Aluminum Transport Chair is available in 4 color options: Black, Blue, Red, or Silver. 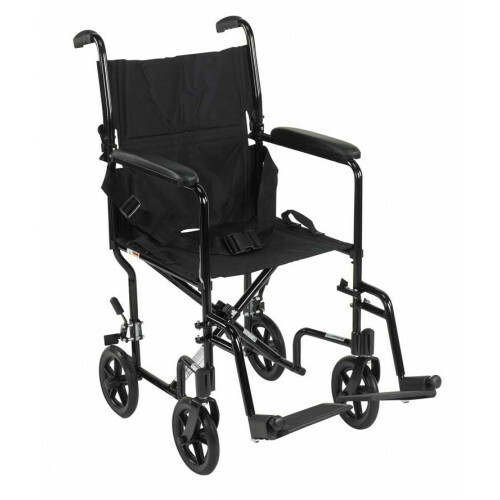 Lightweight frame folds for easy transport. 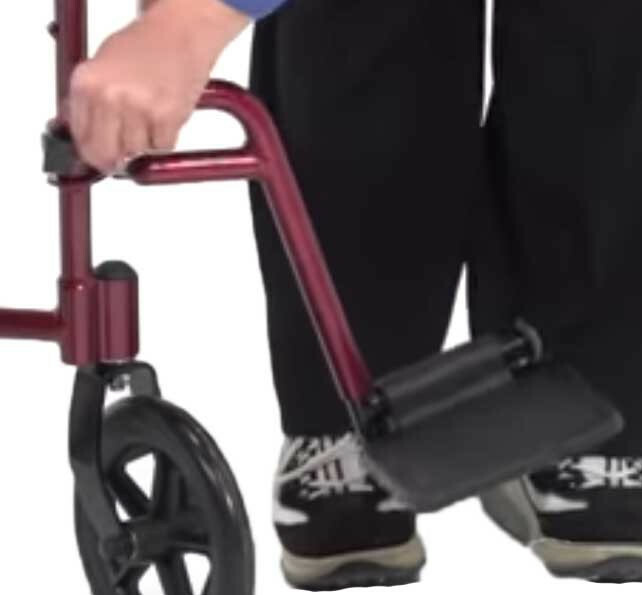 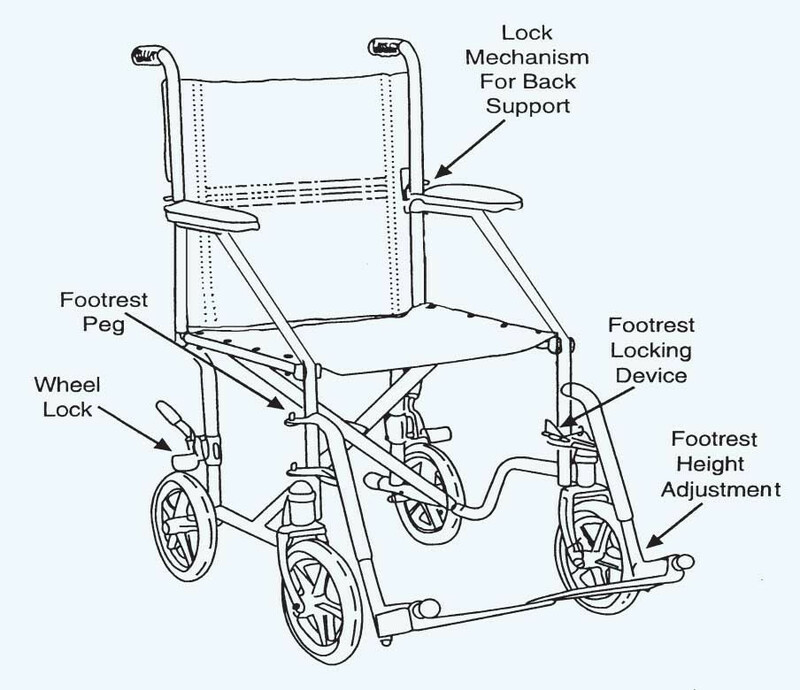 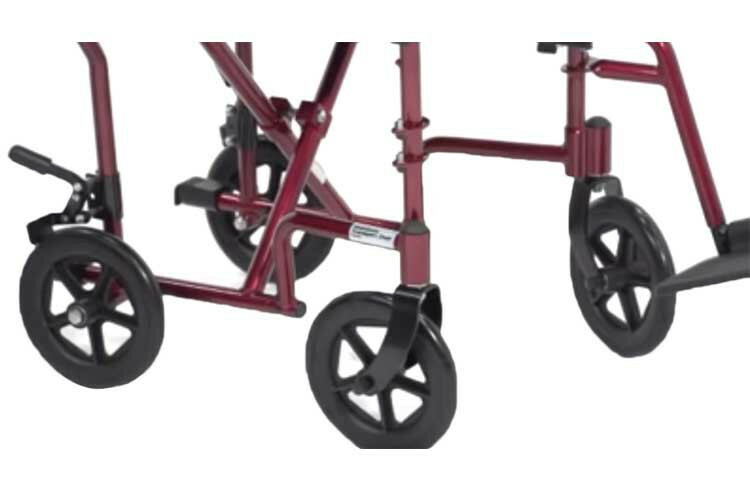 Swing-away footrests with heel loops to meet the needs of patients. 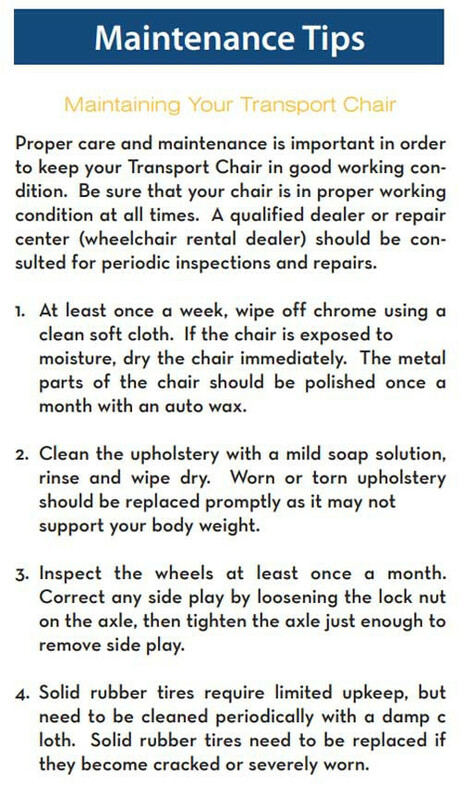 Easy to clean black nylon upholstery. 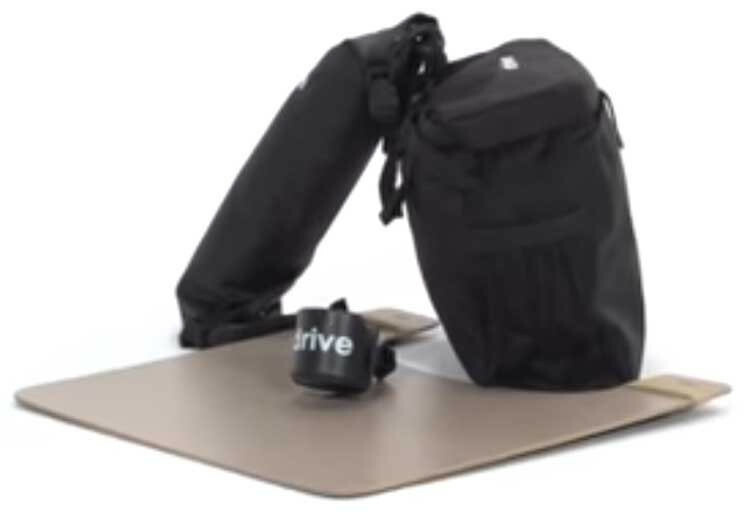 Fold down back for easy storage. 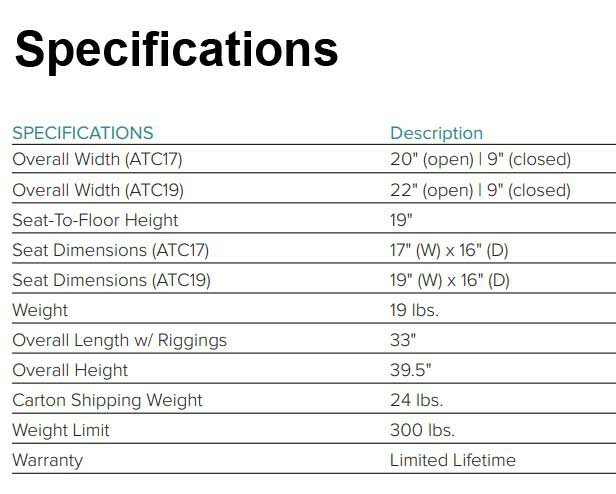 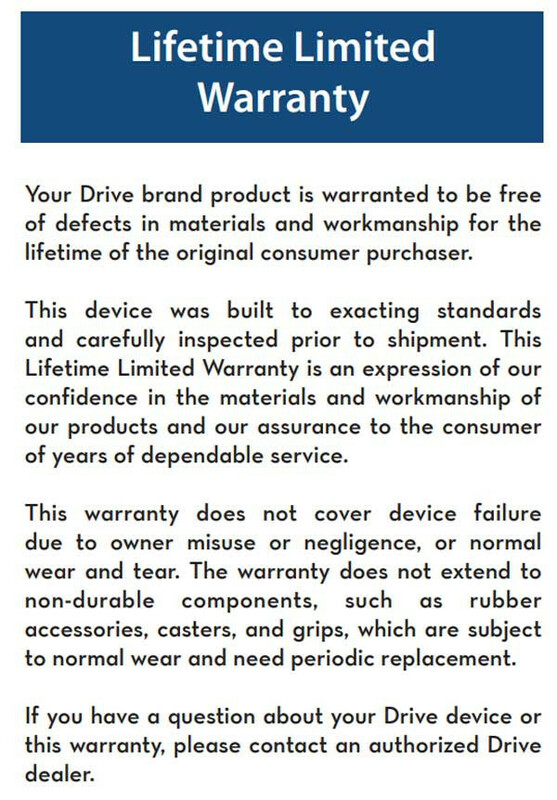 Drive Medical Aluminum Transport Chair Warranty: Limited Lifetime. 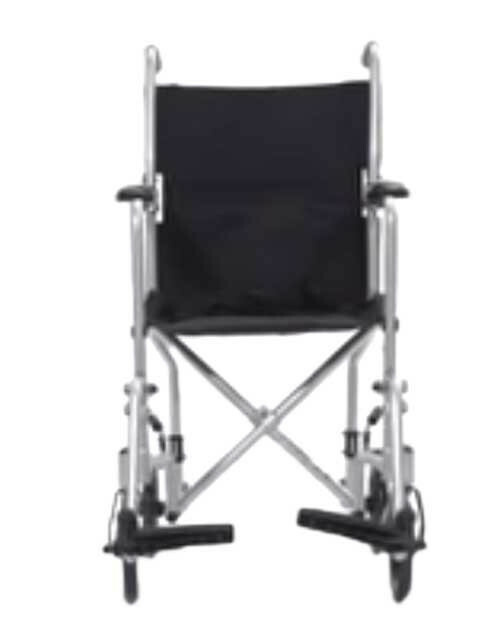 does this chair come fully assembled? 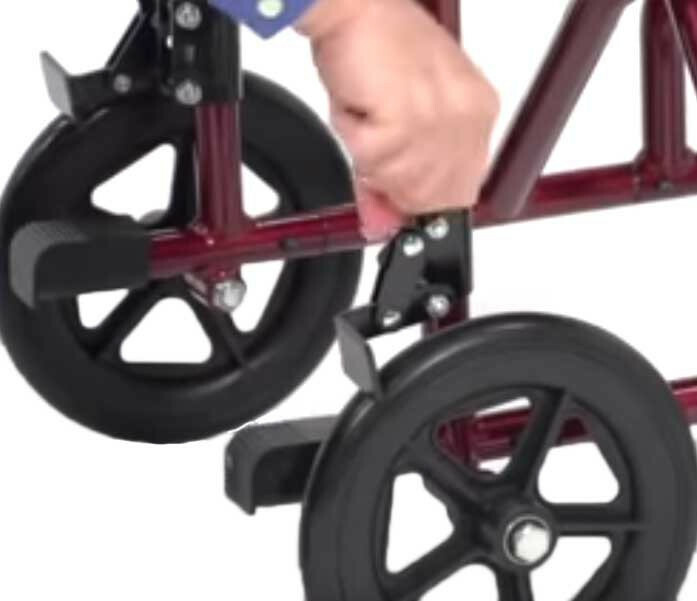 Some assembly will be required for this wheelchair.